For this couple, nothing can be better than this Durga Puja Gift! They came with Male Factor Problem. The man, 36 years, overweight, was on medicine Sulfasalazine (SSZ) for back pain (Ankylosing Spondylitis- AS). SSZ is known to reduce sperm count. However, after stoppage of the medicine SSZ and replacing with better medicine for AS could not improve sperm count. They tried different medicines to improve the sperm count but all failed. When they came to us we found all female factors normal, except Polycystic Ovaries. We examined the man and advised some tests but all were normal. 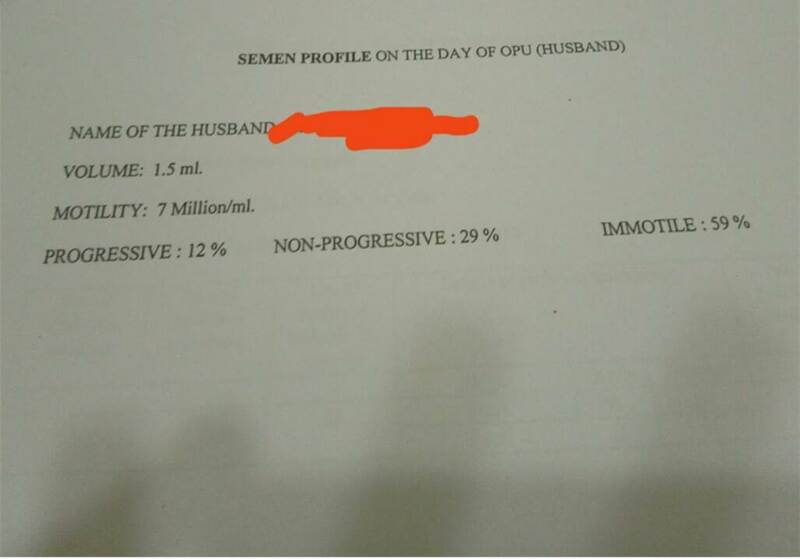 We gave them options like- directly ICSI or trying for IUI in one cycle, all using husband's sperms. They chose ICSI, after explanation of the success rates, merits and demerits. Due to sperm problems, we got very few number of good quality embryos. 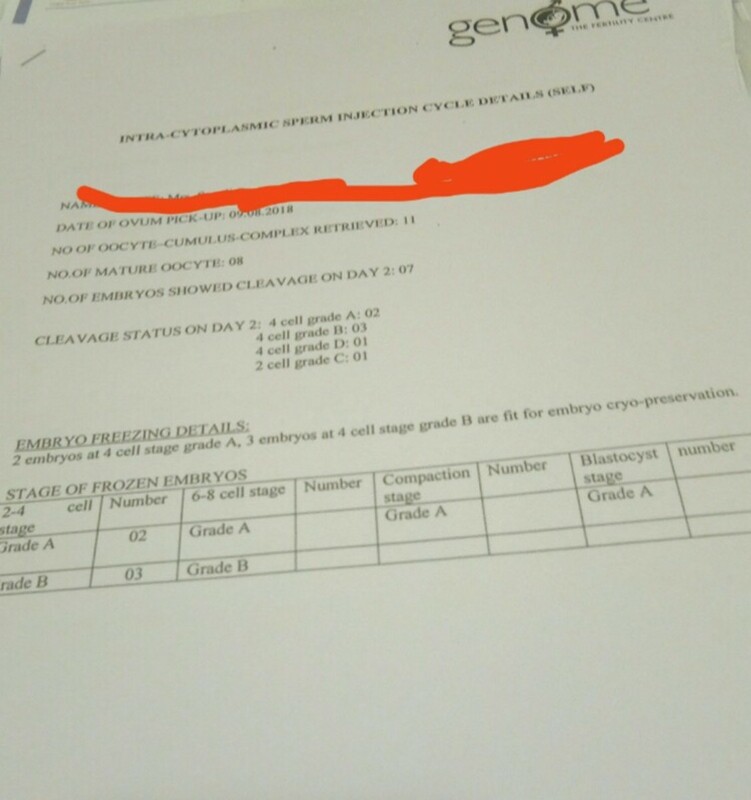 All embryos were frozen and then transferred. Two embryos grew till blastocyst stage. Today beta hCG result is 523.1 IU/ml. Please pray for them. PS- Taken with Permission from the couple.